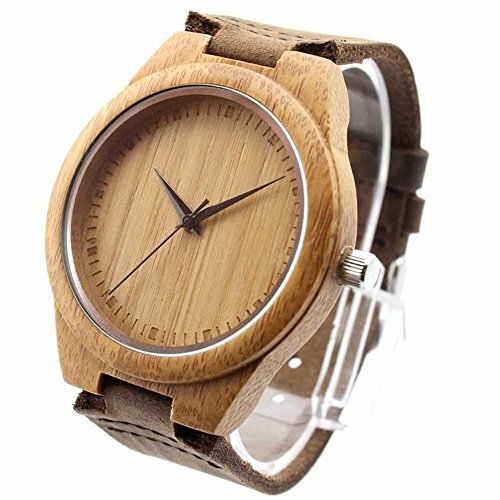 Wooden watches have become increasingly popular these past few years not only because of their intricate and unique designs but also because of their eco-friendly aspect. Their natural color also blends well with the skin tone. They feel lightweight that you won’t notice you’re wearing a watch. Aside from these features, they’re the best substitute for those who are allergic to metal components. We’ve decided to create a review of the best wood watches available in the market. We first look at the best brands since there’s a huge number of wood watchmakers out there. We used the following criteria in choosing the best wooden watch brands available in the market. In selecting wooden watches, your primary concern should be their quality. In our review, we also considered the reputation of the brand, including the date they were established, their watchmaking process, and the quality control they employ. We consider the type of wood used, the strap, the watch face detail, and other design features in determining the best wooden watch brands. The quality and the design of the wooden watch should both match the price it’s sold for. Using these benchmarks, we were able to narrow down the list and include only the best of the best in the wooden watch industry. Here are the best manufacturers of wooden watches you can trust. Aarni Wood creates watches with straightforward designs that highlight minimalism. Their products don’t have fancy features but they make up for it by using high-quality components that are built to last. Their watches will cost you around $190 to $250 per piece. The Philadelphia-based watchmaker offers only a small range of watch designs. They use a combination of wood and marble on their products to ensure they achieve their target of 80% biodegradability. Their highly minimalistic watches have no branding and are gender-neutral. They’re powered by a Japanese quartz movement and are priced around $150. 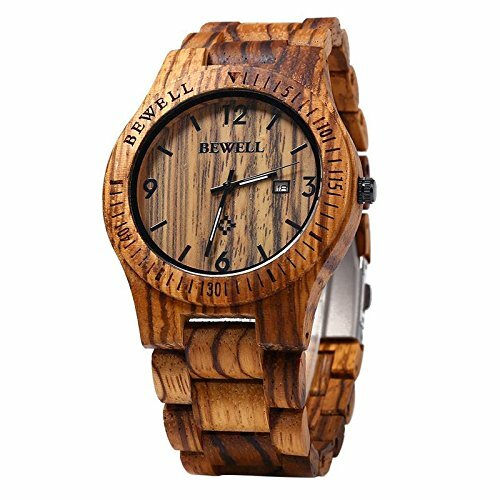 When you’re looking for an inexpensive wooden watch, you’ll surely come across the brand Bewell. They sell watches for around $30 only and their designs are on par with more exclusive brands. However, their products seem to lack quality. It’s like a hit-and-miss when you buy their products. To be fair, you really wouldn’t expect to get a high-quality watch for their price range. But if you’re looking for a budget wooden watch, this is a safe bet to get you started. The USA-based company began producing wooden watches in 2009. They offer only 2 designs but they’re extraordinarily unique that you’ll immediately recognize them as something made by Grovemade. Established in 2013, Jord is a new player in the wooden watch market. However, their aggressive marketing strategies and their offer of premium quality watches have put them in a significant spot among competitors. It looks like they’ve studied the wooden watch market very well because they know how to balance price and quality. Their high-end model costs around $169 which isn’t really expensive when you consider that it features premium sapphire crystal, quality leather strap, and Swiss movement. Kerbholz is a company of German origin which started just this 2012. Their mission is to create timepieces that are sustainable, high-quality, and durable. Their watches feature a crystal tightly sealed and glued to the case for better water resistance. Their wide variety of designs focus on maintaining a clean façade, making their watches versatile to wear on any occasion. As a result of using all-natural wood for their products, expect to see some discoloration as time goes by. There’s no need to be alarmed since this doesn’t have any effect on the quality of their watches. The company uses scrap wood pieces to craft their timepieces. They have a variety of watch designs that mimic the shape and feel of luxury metal timepieces like Rolex and Panerai. Some of the watches in their collection have chronograph subdials and tachymeter bezel. For the quality of their watches, Lux Woods products are fairly priced at around $70 to $80. The Hawaii-based manufacturer started in 1961 as a furniture maker before expanding into the wooden watch business. They’re known for their Koa watches which are made of Koa trees that grow only in their country. Among the best wooden watchmakers in our list, Martin and MacArthur have the largest range of designs with over 125 timepieces in their collection. One of their signature pieces features a watch face made from genuine mother of pearl which adds to the Hawaiian feel of their brand. This Columbian company penetrates the wooden watch market with their otherworldly unique –even wild – designs that feature sharp geometric contours, colorful dials, and add-ons that you won’t likely find on any other watch out there. Due to the intricate and distinctive style of their watches, a single timepiece takes around 85 hours to make. What you buy is a true piece of art that you can wear anywhere you go. Their watches are backed with a 5-year warranty with prices ranging from $150 to as high as $650. Original Grain specializes in combining metal and wood on their timepieces. They have straightforward designs but you can see the artistry in how they mix different elements into one. You should take a look at their flagship item which uses wood from American whiskey barrels. Part of their sales goes to reforestation activities. For every purchase you make, they’re able to plant 10 trees on certain areas in the country. Ovi Watch produces high-quality watches that feature intricate strap and dial designs. They usually come with calfskin leather straps that make them a versatile companion for any occasion. They’re extremely lightweight but that doesn’t mean they’re not durable. Their watches feature a sapphire crystal and a Swiss movement. Their products are priced around $130 to $150. Their luxury collection can cost you around $250 at the least. Plantwear’s watches are replete with features like chronograph subdials, date window, and interchangeable straps. Although they have sporty looking watches that are filled with functional add-ons, they also offer minimalist watches that have clean and elegant designs. Their wide range of watch collection have prices ranging from $130 to $360. Tense was established in 1971 in Canada with the help of Ken P. Lau, a known watchmaker who has been honing his craft for more than 60 years. They offer a wide range of designs that are built with quality materials backed with a 2-year warranty. 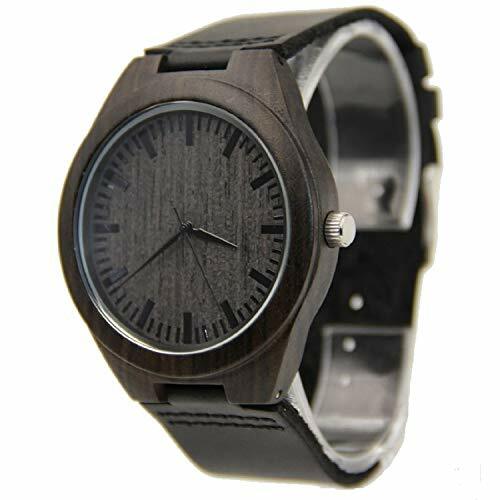 Their use of a variety of woods like the African rosewood and the American butternut enable them to create watches with different styles and colors. The San Francisco-based company is made up of 20 people who work on creating minimalist watches with sentimental value. Their watches have the simplest designs with only slight variations in wood color and dial markings. For an additional cost, they offer engraving services to personalize the watches you buy from them. The weak point in their product is the pricing. Their watches cost around $200 which is quite expensive considering the simplistic style they have and lack of additional features they offer. In addition to that, they only have a 30-day warranty on their products which will make you question their durability. Vejrhøj watches are a little bit high-end in the wooden watch market. They have a distinctive design that makes good use of different elements like wood, steel, and leather. Their watches feature a scratch-resistant sapphire, leather calfskin strap, stainless steel and wood casing, and metal hands. Their products are also water resistant and use a caliber 762 3H Swiss movement. Their watches will cost you around $420 a piece. If you are looking for unique Wooden Watches your are in the right place. Waidzeit wooden watches are a German-based company and offer high-quality wooden watches for men and woman. They are feather light and comfortable to wear with their own story to tell. Waidzeit watches are a true testament to the attention to detail. They offer a practical, but stylish design. The perfect accessory for watch-lovers who appreciate the detailed craftsmanship and classically elegant design. 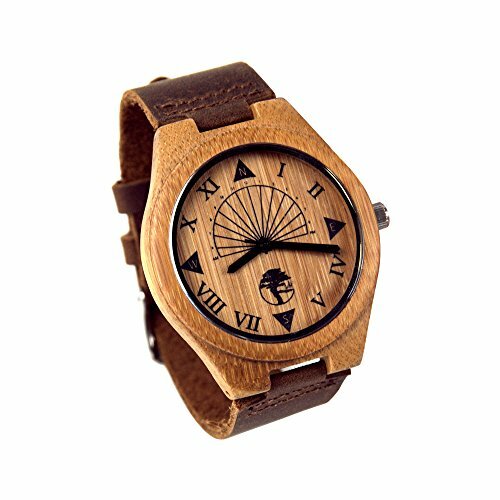 WeWOOD is undoubtedly one of the most popular brands in the wooden watch market. They were featured in several review sites and online magazines which further improved their market reach on a global scale. 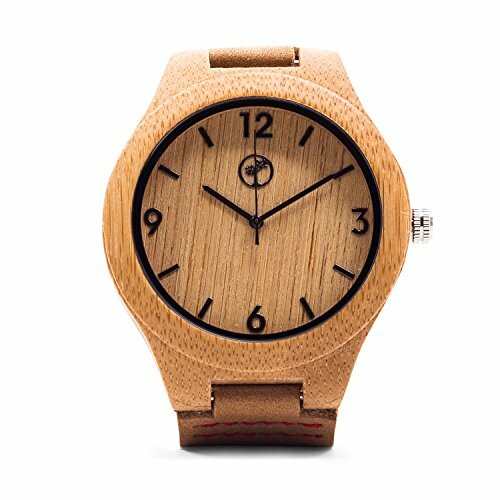 WeWOOD offers the most affordable wooden watches in the market, making them the perfect match for those looking to try out a different watch style. Their designs combine classic and modern elements which contribute to the appealing nature of their watches. However, since they’re inexpensive, you shouldn’t expect much on their quality. People have reported that WeWOOD watches stopped working properly after 6 months. Although these don’t occur often, it’s still something that the company should address to protect their brand’s reputation. If you can’t pick from the watch brands we’ve listed above, we’ve narrowed down the selection to make it easier for you. Here are the best wooden watches we found available in the market. The 44mm New Vosicar is made of 100% Bamboo and also features a leather strap, a 5-year battery life, and a Japanese quartz movement. 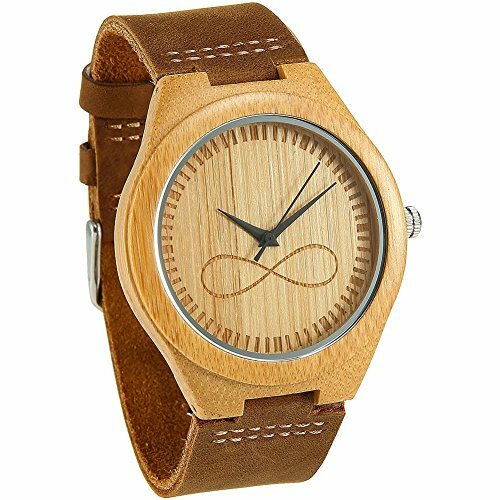 The 35.5mm Bamboo wooden watch is made of an all-natural bamboo case, a full-grain cowhide leather strap that’s hypoallergenic and non-toxic, a Hardlex mineral, and a Miyota 2036 quartz movement. Watches may slightly vary in color tone and may have some spots because of the bamboo’s natural difference in pigmentation. The 44mm wooden watch from CUCOL features a clean watch face for a more minimalistic approach. It also has a smooth cowhide leather band, a battery good for 2 years of use, and a quartz movement. The 45mm wooden watch from Viable Harvest is made from a combination of sandalwood and bamboo to give off a unique reddish hue. It has a strap that’s made from genuine leather, a battery that can last up to 4 years of use, and a Japanese quartz movement. The 45.5mm wooden watch from Woodgrain features a handcrafted dial and case, a lightweight brown leather band, a battery that can last up to 5 years of use, and a Japanese quartz movement. The 42mm wooden watch from Bewell is made from 100% natural wood sourced from Africa. It has a lightweight wooden strap, a date display, a battery that can last up to 3 years of use, and a Japanese quartz movement. The 44mm wooden watch from Tree People is made from all-natural wood and features a clean watch face. It also has an authentic leather strap, a battery that can last up to 5 years of use, and a Miyota 2035 movement. The watch comes with a 2-year warranty and a free gift box. 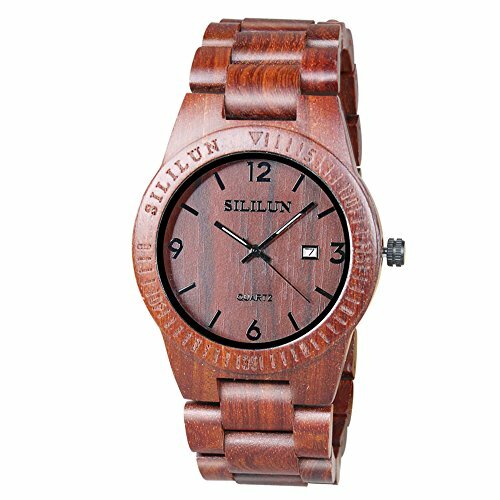 The 43.5mm wooden watch from SILILUN is made of natural Zebrawood which has a unique wood grain and is known for its hardness and durability. Its color looks like rich chocolate with a hint of coffee. It has a date window, a battery that can last up to 3 years, luminescent hands, a wooden bracelet, and a Japanese quartz movement. The 45.5mm wooden watch from Mercimall is made of 100% sandalwood and has a clean watch face that adds to its minimalistic nature. The watch also has a stainless steel buckle, a cowhide leather strap, a battery that can last up to 2 years of use, and a Japanese quartz movement. The 43mm wooden watch from Treehut features a minimalist watch face, a genuine leather strap, a Japanese Miyota movement, and a 5-year battery life. Its natural bamboo wood color gives it an elegant feel that makes the timepiece one of the best wooden watches in the market. 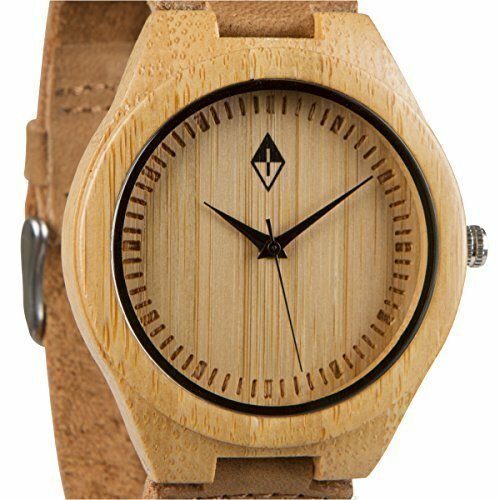 Treehut Men's Wooden Bamboo Watch with Genuine Leather Strap Quartz Analog wi. 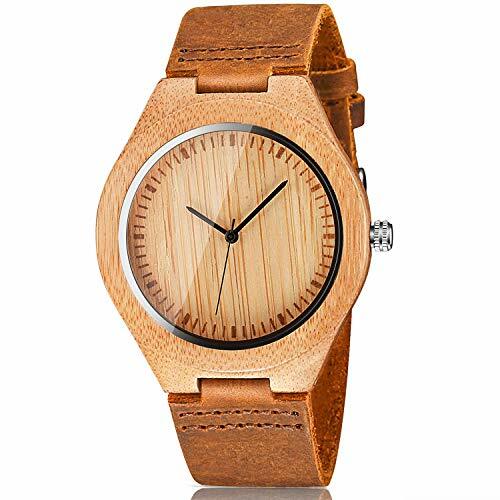 A wooden watch is suitable for those who are looking for an eco-friendly and inexpensive timepiece. It may not be as flashy as luxury watches and homage alternatives but a wooden watch’s unique look will surely be a good conversation starter. 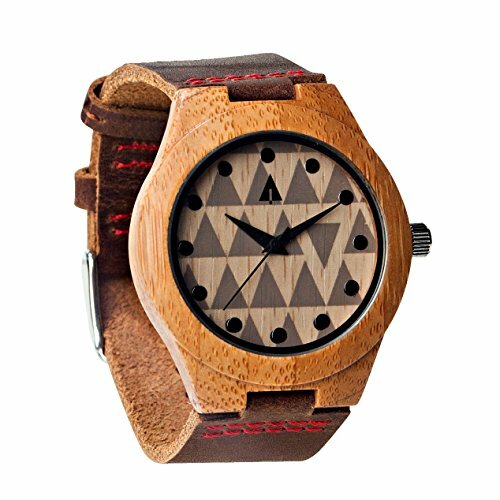 The creativity of the best wooden watch brands introduces new styles and designs that can only be seen in wooden watches. You’ll be amazed at the possibilities that open up when wood elements are combined with other components. Our review of the best wood watch brands will definitely help you choose the best watchmaker that will suit your preference. If you still can’t decide because of the wide variety of choices available to you, you can select from our list of the top 10 wooden watches you should consider buying.